To assess the effectiveness of a myrrh containing mouthwash in dental plaque and gingivitis control in comparison to a commercially available chlorhexidine mouthwash. This is a randomized double blinded controlled clinical trial involving 12 systemically healthy subjects, age group 18-30 years in which experimental gingivitis was allowed to develop and subjects were assigned randomly into 3 groups (Normal saline), (1% Commiphora myrrh mouthwash), (0.2% chlorhexidine gluconate mouthwash,). Patients were instructed to use only the mouthwashes for 14 days. Plaque Index (PI), and Gingival Index (GI) were assessed before and after the treatment with mouthwashes. Results showed no significant reduction in gingival inflammation scores in all groups but Myrrh group showed the highest reduction in inflammation mean score (0.32). A significant reduction was noticed in Plaque reduction in patients using Myrrh mouthwash comparing to the one before intervention visit. However, no significant differences noticed in other groups. This preliminary study showed that Myrrh mouthwash resulted in clinical improvement in plaque reduction and gingival inflammation parameters. Myrrh may be considered as a potential therapeutic agent in treating gingivitis. However, further clinical and laboratory studies are needed. Keywords: Myrrh, Chlorhexidine, Gingivitis, Gingival index, Plaque index, Bleeding. © 2019 Zahid and Alblowi. Dental plaque is a mass of bacteria that starts accumulating on the surface of a tooth as a sticky biofilm. If adequate control measures are not undertaken, the gradual build-up of plaque over time leads to tooth decay and gingival diseases [1Loe H, Theilade E, Jensen SB. Experimental Gingivitis in Man. J Periodontol 1965; 36: 177-87. [http://dx.doi.org/10.1902/jop.1965.36.3.177] [PMID: 142969 27] , 2Socransky SS, Haffajee AD, Cugini MA, Smith C, Kent RL Jr. Microbial complexes in subgingival plaque. J Clin Periodontol 1998; 25(2): 134-44. [http://dx.doi.org/10.1111/j.1600-051X.1998.tb02419.x] [PMID: 94956 12] ]. The most common form of plaque-induced gingival disease is gingivitis, which causes inflammation and bleeding of the gingiva [3Page RC. Gingivitis. J Clin Periodontol 1986; 13(5): 345-59. [http://dx.doi.org/10.1111/j.1600-051X.1986.tb01471.x] [PMID: 35226 44] ]. Gingivitis does not affect the tissues and bone supporting the teeth and is easily reversible with proper dental hygiene practices. However, if it is left untreated, theinflamed and/or bleeding gums ultimately lead to periodontitis, in which tissue damage and bone resorption occur [3Page RC. Gingivitis. J Clin Periodontol 1986; 13(5): 345-59. [http://dx.doi.org/10.1111/j.1600-051X.1986.tb01471.x] [PMID: 35226 44] -5Isola G, Matarese G, Williams RC, et al. The effects of a desiccant agent in the treatment of chronic periodontitis: A randomized, controlled clinical trial. Clin Oral Investig 2018; 22(2): 791-800. [http://dx.doi.org/10.1007/s00784-017-2154-7] [PMID: 28624 914] ]. Hence, there is a need for appropriate plaque control measures to eliminate the bacterial biofilm from the tooth surface and prevent it from recurrence. Dental plaque control can be achieved both mechanically and chemically, either alone or in a combination of these two measures [6Bosman CW, Powell RN. The reversal of localized experimental gingivitis. A comparison between mechanical toothbrushing procedures and a 0.2% chlorhexidine mouthrinse. J Clin Periodontol 1977; 4(3): 161-72. [http://dx.doi.org/10.1111/j.1600-051X.1977.tb02270.x] [PMID: 2683 32] ]. The use of these procedures has been shown to reduce the initiation or progression of the plaque building process [7Figuero E, Nóbrega DF, García-Gargallo M, Tenuta LM, Herrera D, Carvalho JC. Mechanical and chemical plaque control in the simultaneous management of gingivitis and caries: A systematic review. J Clin Periodontol 2017; 44(Suppl. 18): S116-34. [http://dx.doi.org/10.1111/jcpe.12674] [PMID: 28266113] , 8Mandal ASD, Siddiqui H, Das D, Dey AK. New dimensions in mechanical plaque control: An overview. Indian J Dent Sci 2017; 9: 133-9. [http://dx.doi.org/10.4103/IJDS.IJDS_18_17] ]. The most frequently prescribed antiplaque and anti-gingivitis chemical agent is Chlorhexidine Gluconate (CHX) containing mouthwashes [9Balagopal SAR. Chlorhexidine.. Gold standard antiplaque agent J Pharmaceutical Sci Res 2013; 5(12): 270-4.]. CHX has been reported to be a gold standard antiplaque and anti-gingivitis agent and its effects in combination with or without mechanical plaque control measures have been a wide area of discussion in the literature [6Bosman CW, Powell RN. The reversal of localized experimental gingivitis. A comparison between mechanical toothbrushing procedures and a 0.2% chlorhexidine mouthrinse. J Clin Periodontol 1977; 4(3): 161-72. [http://dx.doi.org/10.1111/j.1600-051X.1977.tb02270.x] [PMID: 2683 32] , 7Figuero E, Nóbrega DF, García-Gargallo M, Tenuta LM, Herrera D, Carvalho JC. Mechanical and chemical plaque control in the simultaneous management of gingivitis and caries: A systematic review. J Clin Periodontol 2017; 44(Suppl. 18): S116-34. [http://dx.doi.org/10.1111/jcpe.12674] [PMID: 28266113] , 9Balagopal SAR. Chlorhexidine.. Gold standard antiplaque agent J Pharmaceutical Sci Res 2013; 5(12): 270-4.-12da Costa LFNP, Amaral CDSF, Barbirato DDS, Leão ATT, Fogacci MF. Chlorhexidine mouthwash as an adjunct to mechanical therapy in chronic periodontitis: A meta-analysis. J Am Dent Assoc 2017; 148(5): 308-18. [http://dx.doi.org/10.1016/j.adaj.2017.01.021] [PMID: 282844 17] ]. However, the long-term use of CHX mouthwashes has been found to be associated with several side effects including teeth discoloration, staining, and burning sensation, mucous membrane irritation, and taste disturbance [9Balagopal SAR. Chlorhexidine.. Gold standard antiplaque agent J Pharmaceutical Sci Res 2013; 5(12): 270-4.-12da Costa LFNP, Amaral CDSF, Barbirato DDS, Leão ATT, Fogacci MF. Chlorhexidine mouthwash as an adjunct to mechanical therapy in chronic periodontitis: A meta-analysis. J Am Dent Assoc 2017; 148(5): 308-18. [http://dx.doi.org/10.1016/j.adaj.2017.01.021] [PMID: 282844 17] ]. In recent years, the use of herbs as an antiplaque agent is becoming increasingly popular, either as home remedies or as complementary or alternative medicine. Some studies have been conducted to evaluate the effectiveness of herbal mouthwashes in plaque control to avoid the side effects of CHX [13Pradeep AR, Suke DK, Martande SS, Singh SP, Nagpal K, Naik SB. Triphala, a New Herbal Mouthwash for the Treatment of Gingivitis: A Randomized Controlled Clinical Trial. J Periodontol 2016; 87(11): 1352-9. [http://dx.doi.org/10.1902/jop.2016.130406] [PMID: 274420 86] -16Bhat N, Mitra R, Oza S, et al. The antiplaque effect of herbal mouthwash in comparison to chlorhexidine in human gingival disease: A randomized placebo controlled clinical trial. J Complement Integr Med 2014; 11(2): 129-37. [http://dx.doi.org/10.1515/jcim-2014-0002] [PMID: 246988 29] ]. These studies suggested that herbal formulations might be similarly effective in plaque control compared to CHX mouth washes. Some studies even described herbal preparations as a superior alternative to CHX considering their less side effect profile [15Radafshar G, Ghotbizadeh M, Saadat F, Mirfarhadi N. Effects of green tea (Camellia sinensis) mouthwash containing 1% tannin on dental plaque and chronic gingivitis: A double-blinded, randomized, controlled trial. J Investig Clin Dent 2017; 8(1)[http://dx.doi.org/10.1111/jicd.12184] [PMID: 26272266] , 17Vinod KS, Sunil KS, Sethi P, Bandla RC, Singh S, Patel D. A novel herbal formulation versus chlorhexidine mouthwash in efficacy against oral microflora. J Int Soc Prev Community Dent 2018; 8(2): 184-90. [http://dx.doi.org/10.4103/jispcd.JISPCD_59_18] [PMID: 297 80746] ]. In traditional Arabic medicine, myrrh (a mixture of volatile oil, gum, and resin) is a popular herbal compound that has been commonly used to treat a variety of inflammatory conditions for centuries [18Shalaby MA, Hammouda AA. Analgesic, anti-inflammatory and anti-hyperlipidemic activities of Commiphora molmol extract (Myrrh). J Intercult Ethnopharmacol 2014; 3(2): 56-62. [http://dx.doi.org/10.5455/jice.20140130015014] [PMID: 26401348] ]. It is orally biocompatible and is known to have antimicrobial properties [19El Ashry ES, Rashed N, Salama OM, Saleh A. Components, therapeutic value and uses of myrrh. Pharmazie 2003; 58(3): 163-8. [PMID: 12685809] ]. In dental literature, myrrh has been found to be effective in treating several oral conditions such as gum swelling, aphthous sore mouth, and intramucosal wounds [20Mansour G, Ouda S, Shaker A, Abdallah HM. Clinical efficacy of new aloe vera and myrrh-based oral mucoadhesive gels in the management of minor recurrent aphthous stomatitis: A randomized, double-blind, vehicle-controlled study. J Oral Pathol Med 2014; 43(6): 405-9. [http://dx.doi.org/10.1111/jop.12130] [PMID: 24164309] , 21Al-Mobeeriek A. Effects of myrrh on intra-oral mucosal wounds compared with tetracycline and chlorhexidine-based mouthwashes. Clin Cosmet Investig Dent 2011; 3: 53-8. [http://dx.doi.org/10.2147/CCIDE.S24064] [PMID: 23674915] ]. The antimicrobial activity of myrrh against pathogens of the oral cavity has also been demonstrated [22Almekhlafi STA, Alwossabi AM, Awadth N, Thabet AA, Algaadari Z. Antimicrobial activity of Yemeni myrrh mouthwash. J Chem Pharm Res 2014; 6(5): 1006-13.]. Furthermore, a recent study that included myrrh tincture among other herbal extracts in a mouthwash formulation has reported a significant reduction of plaque and gingivitis than baseline [23Kariuki HMAH, Wagaiyu EG. Effect of a natural extract toothpaste on the bacteria colonies of initial dental plaque colonizers. IOSR J Dental Medical Sci 2017; 16(9): 13-21.]. In comparison to 0.2% CHX mouthwash, myrrh has also been found to be slightly superior in reducing plaque build-up and gingival inflammation [24Bassiouny G. ABH. The anti-plaque effect of miswak and myrrh mouthwashes versus chlorhexidine in the treatment of chronic gingivitis; A comparative clinical trial. Med Sci 2014; 9(33): 32-7.]. However, existing evidence in support of mouthwash formulation containing myrrh as a single active ingredient against plaque and gingivitis is still limited, and studies that so far investigated the effectiveness of myrrh had many methodological limitations. Therefore, this pilot study aimed to assess and compare the plaque and gingivitis control effects of myrrh with a commercially available CHX mouthwash. We hypothesize that myrrh containing mouthwash formulation may be as effective as commercial CHX mouthwash for plaque and gingivitis control. This was a randomized double-blinded controlled clinical trial carried out at the periodontics department of the King Abdulaziz University Dental Hospital, Jeddah, Saudi Arabia. The study protocol was reviewed and approved by the ethics committee of King Abdulaziz University (protocol number: 058-15). Aims and objectives of this study were clearly explained to all patients. Written informed consent was obtained from participants prior to inclusion. The participants were asked to answer questionnaires which include medical and dental history and 20 healthy patients who are fulfilling inclusion criteria were considered into this experimental gingivitis study. The inclusion criteria were: 18-30 years old, non-smokers, had dentition of ≥20 teeth and a minimum of 5 teeth per quadrant, no gingival swelling, redness or bleeding (signs of gingival inflammation), no probing depth ≥3 mm, and no clinical attachment loss. Exclusion criteria include systemic diseases, lactation or pregnancy, severe mal-aligned teeth, patients with orthodontic appliances, mouth breathers, patients receiving antibiotic therapy (within past six months) or medication such as aspirin or non-steroidal anti-inflammatory (within past one months), patients use oral prophylaxis since past six months. Patients unable to comply with study appointment schedule were also excluded. Participants were examined for the first time to confirm eligibility and to do dental screening and examination. The first visit includes supra-gingival scaling if needed, prophylaxis and oral hygiene instructions including brushing and flossing 14 days before the study to ensure gingival health, before the start of the experimental period. At the second visit periodontal examination was done to ensure gingival and periodontal health and patients were instructed to stop brushing teeth for two weeks. At the third visit (start of the experimental period, day 0), plaque status and gingival status was assessed by using Silness and Loe plaque index [25Silness J, Loe H. Periodontal disease in pregnancy. II. correlation between oral hygiene and periodontal condtion. Acta Odontol Scand 1964; 22: 121-35. 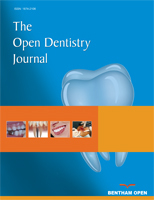 [http://dx.doi.org/10.3109/00016356408993968] [PMID: 1415 8464] ] and Loe and Silness gingival index [26Loe H, Silness J. Periodontal disease in pregnancy. I. prevalence and severity. Acta Odontol Scand 1963; 21: 533-51. [http://dx.doi.org/10.3109/00016356309011240] [PMID: 1412 1956] ] respectively. Participants were assigned randomly by simple randomization method using random number generator into one of the three interventional groups: (Normal saline), (1% Commiphora myrrh mouthwash), (0.2% chlorhexidine gluconate mouthwash,). Patients instructed to continue to refrain from brushing and to use 15 ml from the assigned mouthwash which was given in opaque similar unlabeled bottle twice daily for 1 minute. The bottles were distributed to the patients by a dentist other than the examiner. Examiner and assistant have no access to the patient’s code. Patients were instructed not to use any other mouthwash and not to eat or drink 30 minutes after using the mouthwash. They were given measuring cup and instructed to shake the bottle before using. Patients, compliance were evaluated with the help of a follow-up sheet given to them. After 14 days (day 14) patients were reexamined by the same examiner and PI and GI were remeasured. Throughout the study, patients were asked to record any complaints or side effect. Professional scaling, prophylaxis and fluoride application was done at the end of the study. Myrrh mouthwash (1% g) was prepared at advanced technology dental research laboratory, King Abdulaziz University, Jeddah, Saudi Arabia. Myrrh gum resin crystals as identified by light brown crystals were obtained from a local traditional market in Jeddah, Saudi Arabia. The crystals with less impurity were selected, and 50 g were washed with cold water. Crystals then were dried, then diluted in 5 liters of warm distilled water and kept for 24 hours. The solution then was shaken by ultrasonic shaking for 4 hours. The solution then filtered using filter papers and stored in 1 Liter clean dark opaque bottles [24Bassiouny G. ABH. The anti-plaque effect of miswak and myrrh mouthwashes versus chlorhexidine in the treatment of chronic gingivitis; A comparative clinical trial. Med Sci 2014; 9(33): 32-7.]. Chlorhexidine gluconate 0.2% (Avalon Pharma, Riyadh) and Normal saline 0.9% Sodium Chloride solution, 500 ml (Pharmaceutical solutions industry, Jeddah) commercially available were obtained and used as positive and negative control respectively. Comparison of mean plaque index and gingival index score at baseline (0 day) and after 14 days. Comparison of Gingival Index (GI) and Plaque Index (PI) at baseline (0 day) and after 14 days for different mouth rinses. The assessment of sulcular depth intraexaminer reliability conducted on a few patients. The examination was done on two visits one week apart. Gingival and plaque indices were done using clinical scenarios and pictures on two different time points. The intraexaminer reliability using the intraclass coefficients were 0.87, 0.91 and 0.84 for gingival, plaque and sulcular depth respectively. Statistical analyses were represented as descriptive statistics and performed using the Statistical Package for the Social Sciences (SPSS) version 22 (IBM Corp., Armonk, NY, USA) variables were represented as means and standard deviations. Differences between day 0 and 14 were based on Paired t-test with confidence interval of 95%. ANOVA for multiple groups comparison. This study started with a total of 20 patients (13 females and seven males). Three of those did not show up for the second visit, and the five were irregular in compliance and were excluded from the study. The study was conducted with 12 patients (2 Males, and ten females). N= 4 per group. The mean age in years for Myrrh group, chlorhexidine group, and the saline group were 29 ± 12.67, 23.25 ± 1.5, 22.75 ± 2.75 years respectively. The study was conducted in 2016. When comparing results at baseline and after the intervention, there was no significant change in GI in the three interventional groups (p value > 0.05) ( Table 1). However, Commiphora Myrrh mouthwash showed the highest reduction in Gingival index mean score (0.32) in comparison to CHX (0.16) and saline (0.07) (P = 0.13) (Table 1). Moreover, the test group (Myrrh group) showed a significant difference (p < 0.05) with respect to PI between baseline and two weeks after intervention (p value < 0.05) (Table 1). No significant change was detected in the positive control (CHX) or negative control (saline) groups with respect to PI between baseline and two weeks after intervention (Table 2). For the group comparisons, before intervention (baseline) there was no significant difference between the interventional groups with respect to PI and GI. (p value > 0.05) (Table 2). In this study, we assessed the plaque and gingivitis reduction effects of myrrh as a solo agent in an experimental gingivitis model. We compared 0.2% chlorhexidine gluconate, 1% Commiphora myrrh, and Saline mouthwashes clinical parameters. Myrrh and Chlorhexidine were effective compared to placebo in reducing plaque and gingival inflammation clinical parameters. Chlorhexidine Gluconate, a known antiplaque and antigingivitis agent, has been investigated extensively in the literature [27Berchier CE, Slot DE, Van der Weijden GA. The efficacy of 0.12% chlorhexidine mouthrinse compared with 0.2% on plaque accumulation and periodontal parameters: A systematic review. J Clin Periodontol 2010; 37(9): 829-39. [http://dx.doi.org/10.1111/j.1600-051X.2010.01575.x] [PMID: 206185 50] -29Charles CH, Mostler KM, Bartels LL, Mankodi SM. Comparative antiplaque and antigingivitis effectiveness of a chlorhexidine and an essential oil mouthrinse: 6-month clinical trial. J Clin Periodontol 2004; 31(10): 878-84. [http://dx.doi.org/10.1111/j.1600-051X.2004.00578.x] [PMID: 15 367192] ]. Different modes of delivery and concentrations of CHX were studied [27Berchier CE, Slot DE, Van der Weijden GA. The efficacy of 0.12% chlorhexidine mouthrinse compared with 0.2% on plaque accumulation and periodontal parameters: A systematic review. J Clin Periodontol 2010; 37(9): 829-39. [http://dx.doi.org/10.1111/j.1600-051X.2010.01575.x] [PMID: 206185 50] , 28Najafi MH, Taheri M, Mokhtari MR, et al. Comparative study of 0.2% and 0.12% digluconate chlorhexidine mouth rinses on the level of dental staining and gingival indices. Dent Res J (Isfahan) 2012; 9(3): 305-8. [PMID: 23087736] , 30Hoffmann T, Bruhn G, Richter S, Netuschil L, Brecx M. Clinical controlled study on plaque and gingivitis reduction under long-term use of low-dose chlorhexidine solutions in a population exhibiting good oral hygiene. Clin Oral Investig 2001; 5(2): 89-95. [http://dx.doi.org/10.1007/s007840100114] [PMID: 11480815] ]. Despite the delivery mode, the mechanism of action is the same, CHX disrupts the bacterial cell membrane and interfering with the cell osmolarity causing cell death [31Puig Silla M, Montiel Company JM, Almerich Silla JM. Use of chlorhexidine varnishes in preventing and treating periodontal disease: A review of the literature. Med Oral Patol Oral Cir Bucal 2008; 13(4): E257-60. [PMID: 18379452] ]. 0.2% chlorhexidine was shown to have a more antiplaque effect than 0.12%, but it has more esthetic concerns among other side effects which might affect the patient’s compliance [27Berchier CE, Slot DE, Van der Weijden GA. The efficacy of 0.12% chlorhexidine mouthrinse compared with 0.2% on plaque accumulation and periodontal parameters: A systematic review. J Clin Periodontol 2010; 37(9): 829-39. [http://dx.doi.org/10.1111/j.1600-051X.2010.01575.x] [PMID: 206185 50] ]. In Saudi Arabia only 0.2% CHX mouthwash is available, and thus it was used as a positive control in this study. Myrrh has been used by patients widely in Saudi Arabia as an alternative medicine for different conditions and purpos [32Bakhotmah BA, Alzahrani HA. Self-reported use of complementary and alternative medicine (CAM) products in topical treatment of diabetic foot disorders by diabetic patients in Jeddah, Western Saudi Arabia. BMC Res Notes 2010; 3: 254. [http://dx.doi.org/10.1186/1756-0500-3-254] [PMID: 20925 956] ]. Several herbal types of mouthwash and a mouthwash combination which includes Myrrh tincture among other herbal extracts shown to be effective in treating gingivitis [13Pradeep AR, Suke DK, Martande SS, Singh SP, Nagpal K, Naik SB. Triphala, a New Herbal Mouthwash for the Treatment of Gingivitis: A Randomized Controlled Clinical Trial. J Periodontol 2016; 87(11): 1352-9. [http://dx.doi.org/10.1902/jop.2016.130406] [PMID: 274420 86] , 33Serfaty R, Itic J. Comparative clinical trial with natural herbal mouthwash versus chlorhexidine in gingivitis. J Clin Dent 1988; A(1 Suppl): A34-37., 34Manipal S, Hussain S, Wadgave U, Duraiswamy P, Ravi K. The mouthwash war - chlorhexidine vs. herbal mouth rinses: A meta-analysis. J Clin Diagn Res 2016; 10(5): ZC81-3. [PMID: 27437366] ]. In the present study, we evaluated Myrrh mouthwash as a solo treatment agent. All the participants were instructed to stop all oral hygiene measures except the interventional mouthwashes. Mouthwash amount, duration of use, and frequency were standardized, and the participants were asked to follow the instructions. Randomization and exclusion of significant risk factors such as smoking in which might affects the gingival status were done to reduce confounding. Based on the results of this initial study, Myrrh mouthwash was effective in reducing plaque and gingivitis. The clinical findings of this study showed that using myrrh mouthwash reduces plaque. Although not statistically significant, it also showed superior results in gingival inflammation in Myrrh group compared to CHX and Saline. In a similar study by Bassiouny et al. [24Bassiouny G. ABH. The anti-plaque effect of miswak and myrrh mouthwashes versus chlorhexidine in the treatment of chronic gingivitis; A comparative clinical trial. Med Sci 2014; 9(33): 32-7. ], Their study results although was not statistically significant but it showed superior results for myrrh over Chlorhexidine in the reduction of both plaque and inflammation but was in combination with mechanical cleaning [24Bassiouny G. ABH. The anti-plaque effect of miswak and myrrh mouthwashes versus chlorhexidine in the treatment of chronic gingivitis; A comparative clinical trial. Med Sci 2014; 9(33): 32-7.]. The reduction in inflammation in Myrrh group and its superior clinical results, when compared to the saline group, may be attributed to its anti-inflammatory properties. Kim et al. reported that Myrrh exerted an anti-inflammatory effect by increasing bacterial clearance and inhibiting proinflammatory cytokines production such as IL-1β, IL-6, and TNF-α [35Min-Sun Kim G-SB. Kyoung-Chel Park, et al. Myrrh inhibits LPS-induced inflammatory response and protects from cecal ligation and puncture-induced sepsis. Evidence-Based Complement Alternat Med 2012; 2012: 11.]. In addition to myrrh anti-inflammatory properties, myrrh showed anti-bacterial properties. In an animal study, the myrrh group showed no bacterial colonization in contrast to the control group when used in oral wound healing [21Al-Mobeeriek A. Effects of myrrh on intra-oral mucosal wounds compared with tetracycline and chlorhexidine-based mouthwashes. Clin Cosmet Investig Dent 2011; 3: 53-8. [http://dx.doi.org/10.2147/CCIDE.S24064] [PMID: 23674915] ]. Another group, have found that Myrrh mouthwash had a potent antimicrobial effect against oral flora and some species of microorganisms and results were comparable to some extent with Chlorhexidine Gluconate [36Sambawa Z M AFH, Aleanizy F S, ALqahtani F Y. Comparison of antibacterial efficacy chlorohexidine gluconate and saudi myrrh mouthwashes in the oral cavity. Orient J Chem 2016; 32(5)[http://dx.doi.org/10.13005/ojc/320532] ] Both anti-inflammatory and antibacterial proprieties could explain the antiplaque and antigingivitis effect of myrrh. It should be noted, myrrh was used for short-term and in low concentration as a mouthwash to investigate the effect on gingivitis in this study, so its prolonged effect that might influence the results differently was not tested [21Al-Mobeeriek A. Effects of myrrh on intra-oral mucosal wounds compared with tetracycline and chlorhexidine-based mouthwashes. Clin Cosmet Investig Dent 2011; 3: 53-8. [http://dx.doi.org/10.2147/CCIDE.S24064] [PMID: 23674915] ]. Myrrh been shown to be biocompatible with oral tissues and promotes healing by promoting earlier remodeling [21Al-Mobeeriek A. Effects of myrrh on intra-oral mucosal wounds compared with tetracycline and chlorhexidine-based mouthwashes. Clin Cosmet Investig Dent 2011; 3: 53-8. [http://dx.doi.org/10.2147/CCIDE.S24064] [PMID: 23674915] ]. The healing proprieties of Myrrh may be explained by its induction of maturation and activation of WBCs [37ASA H. Effect of myrrh (Commiphora molmol) on leukocyte levels before and during healing from gastric ulcer or skin injury. J Immunotoxicol 2010; 71: 68-75.]. Myrrh used previously to treat infection and inflammations traditionally [38Shen T, Li GH, Wang XN, Lou HX. The genus Commiphora: A review of its traditional uses, phytochemistry and pharmacology. J Ethnopharmacol 2012; 142(2): 319-30. [http://dx.doi.org/10.1016/j.jep.2012.05.025] [PMID: 226269 23] ]. Moreover, Myrrh has been shown to promote dermal fibroblasts proliferation and increase the expression of the mRNA expression of collagen III [39Bai XZ, Hu DH, Bai L, Liu Y, Su YJ, Tang CW. Effects of myrrh extract on proliferation and collagen mRNA expression of human fibroblasts in vitro. Zhonghua Shao Shang Za Zhi 2012; 28(2): 130-3. [PMID: 22781326] ]. The availability of Myrrh, ease of preparation, effectiveness and fewer side effects could make it an alternative mouthwash. The main limitation of this pilot study is the small sample size. Our study started with twenty participants, in which eight of them were excluded due to failure in following oral hygiene measure. Discontinuation of oral hygiene to develop the experimental gingivitis is difficult and socially not accepted. To the authors’ knowledge, this pilot study is the first study to evaluate the effectiveness of myrrh mouthwash as a solo treatment agent for short-term use to reduce plaque and gingival inflammation. Further larger scale and long-term clinical and biochemical studies are needed to confirm the efficacy and safety of myrrh mouthwash on gingival and periodontal health as an alternative to other antiplaque and anti-gingivitis agent. Overall, the results of this pilot study, even with its limitation, support our hypothesis and illustrate that Myrrh mouthwash has potential as an antiplaque and antigingivitis therapeutic agent. Further detailed clinical, laboratory, safety studies are needed to confirm its effectiveness on a larger scale. The study protocol was reviewed and approved by the ethics committee of King Abdulaziz University (protocol number: 058-15). Written informed consent was obtained from participants prior to inclusion. The authors would like to thank Dr. Sara Basuhail, Dr. Nora Khan and Dr. Rahaf Alghamdi who helped in data collection and entry. Balagopal SAR. Chlorhexidine.. Gold standard antiplaque agent J Pharmaceutical Sci Res 2013; 5(12): 270-4. Almekhlafi STA, Alwossabi AM, Awadth N, Thabet AA, Algaadari Z. Antimicrobial activity of Yemeni myrrh mouthwash. J Chem Pharm Res 2014; 6(5): 1006-13. Kariuki HMAH, Wagaiyu EG. Effect of a natural extract toothpaste on the bacteria colonies of initial dental plaque colonizers. IOSR J Dental Medical Sci 2017; 16(9): 13-21. Bassiouny G. ABH. The anti-plaque effect of miswak and myrrh mouthwashes versus chlorhexidine in the treatment of chronic gingivitis; A comparative clinical trial. Med Sci 2014; 9(33): 32-7. Serfaty R, Itic J. Comparative clinical trial with natural herbal mouthwash versus chlorhexidine in gingivitis. J Clin Dent 1988; A(1 Suppl): A34-37. Min-Sun Kim G-SB. Kyoung-Chel Park, et al. Myrrh inhibits LPS-induced inflammatory response and protects from cecal ligation and puncture-induced sepsis. Evidence-Based Complement Alternat Med 2012; 2012: 11. ASA H. Effect of myrrh (Commiphora molmol) on leukocyte levels before and during healing from gastric ulcer or skin injury. J Immunotoxicol 2010; 71: 68-75.